Physical activity: a major key to staying healthy outside of proper diet and getting your eight hours of sleep. Sure, it might be difficult to get motivated to go lift heavy things, to run around campus or go meet your sports team for practice, but there is one thing that can help motivate you: music. We jam to it in the car, use it to help us study for class and to get the blood and adrenaline pumping to exercise. 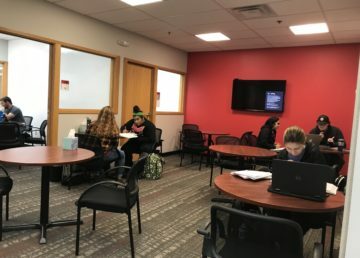 As diverse as the Maryville student body is, there is a strong assumption that a lot of different music is played throughout our campus, and different artists can get people more focused and motivated than others. A band like Slipknot might get a student more in the zone to deadlift over listening to The Chainsmokers, or it might be the other way around. People have a preference of music they want to listen to depending on the activity they are performing. It’s another fair assumption that someone would rather listen to a mellow artist like Jack Johnson or Ed Sheeran when they’re trying to relax over a heavier band such as Avenged Sevenfold or Metallica. The point is everyone has a personal preference on what they’re listening to, but what are some songs and artists students like to exercise to?